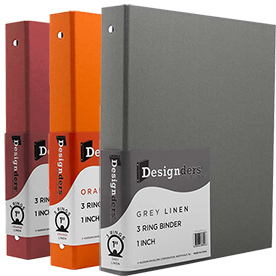 The organization tool to end all organization stressors: The Binder. We understand that trying to find loose papers should not be in your routine in the morning. With this theory, we created the perfect page for the perfect organizational tool. 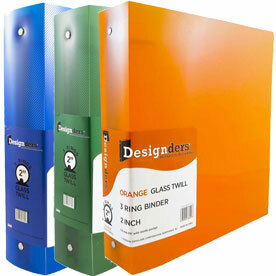 We categorize first by size then by material so you can easily access the perfect binder for you. And our wide selection comes in a wide variety of colors to perfectly match your school or office style. 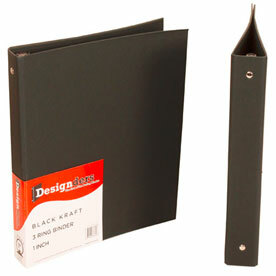 Try our 0.75 Inch Binders for those small presentations that need added protection. 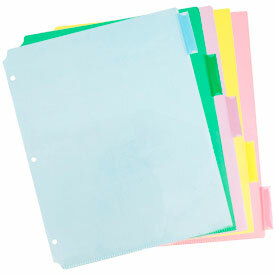 Or use these for school and organize subject by color. 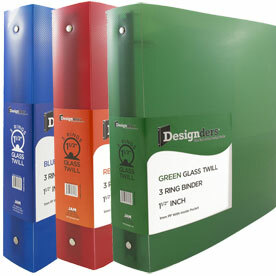 Want to carry all of your subjects in one place? 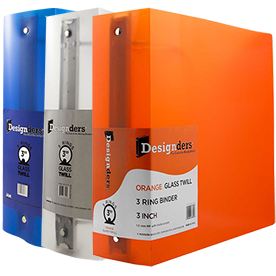 Try our 3 Inch Binders, which are sure to keep all of your papers together. Covered in Glass Twill, anything you decide to put inside will be safe from wear and tear. Want to add some sophistication in your organization style? 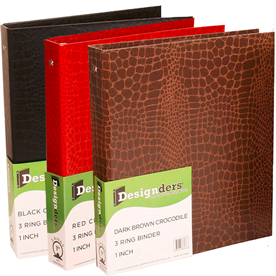 Try our Crocodile Wrapped Designders or Cloth Covered Three Ring Binders. 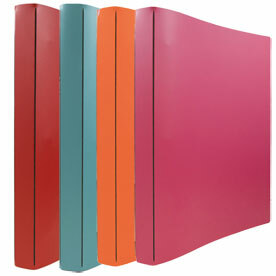 Or would you rather have the utmost protection for your confidential files? 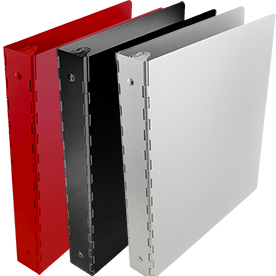 Try our Aluminum Three Ring Binders or Acrylic Binders with Aluminum Spine. The covers are scratch resistant, making them the best shield for the job. Our selection doesn't just stop at binders though. 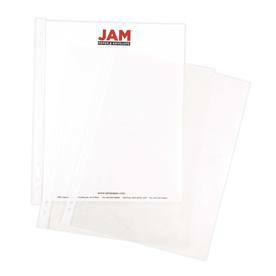 Try our Plastic Binder Envelopes or Sheet Protectors to attach inside, furthering not only your organization but protection too. 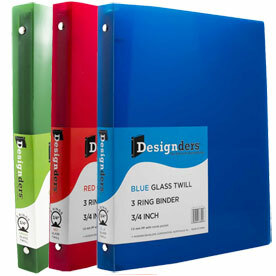 Have a vision for your binder in sight but still can't find the right one? That's right! 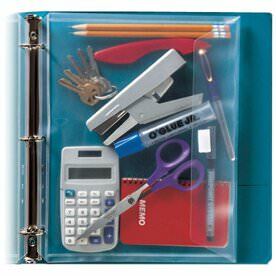 You can make a Custom Binder. 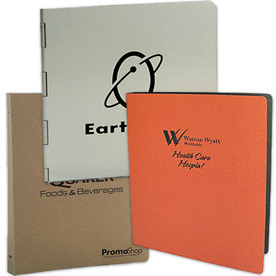 See our Custom Binder Examples for some ideas. 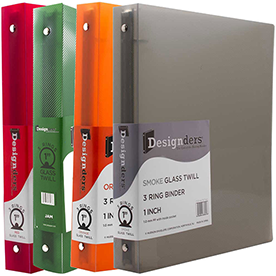 Since you can continuously add new papers, you need the perfect binder. So start finding today!